Are you out of butter or shortening and you need to make biscuits? These Cream Biscuits from James Beard’s Beard on Bread may be just the recipe you’re looking for. 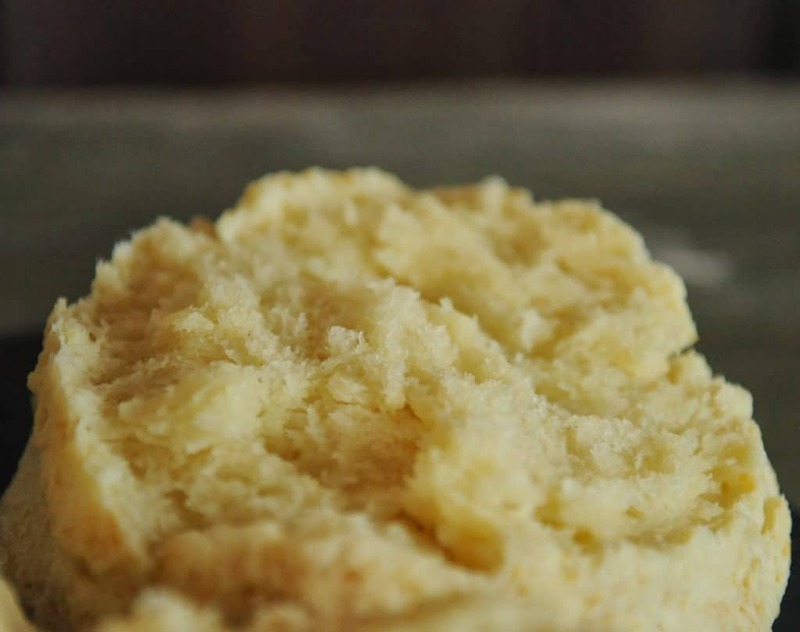 I love an easy biscuit recipe because A) biscuits are delicious to eat and B) because when you whip out fresh homemade biscuits you’re a goddess (true story!) 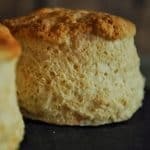 So I’m always on the lookout for new better biscuits although my biscuit recipe is as good as any and made in the food processor so it’s fast too. I liked the Cat Head Biscuits a lot even though they were slower to make than I like to spare time for. They were really stellar biscuits, if you’re looking for fun biscuits to bring to the table I’d say give them a go. Both of these recipes need butter or shortening and sometimes that can be a problem. Why would anyone need to make biscuits without butter? Sounds like crazy-ville to me but sometimes you run out and even the most well stocked freezer pantry from a prepper mama may occasionally run out of butter. This doesn’t go over very well in our house so when we run low-ish I usually do my baking without butter. By choosing recipes that don’t use it so that the toast eaters, bread butterers and potato mashers will have their beloved butter. I also occasionally turn to shortening like Spectrum Shortening if I happen to have it on hand. But there comes a day when you just might need biscuits, now perhaps need is too strong a word, ok want biscuits. This is the recipe for you. No cutting in butter, no food processor, no pastry blender, no knives, just mix, knead, pat, cut and bake. Extremely easy, kid friendly and superb all in the same recipe means this one is a keeper.